icotek’s range of EMC shield clamps has been expanded. The new SKZ offers an additional integrated strain relief. This is generally carried out via the cable outer sheath and thus protects the cable shield, as it is not mechanically designed for tensile forces. 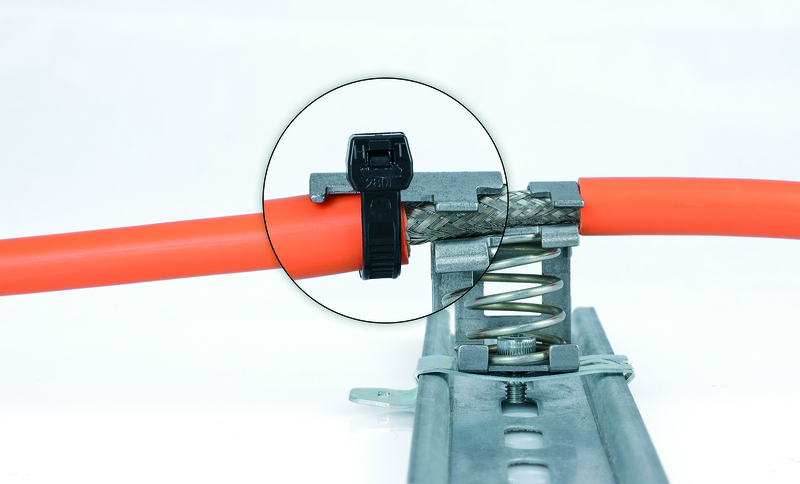 Strain relief via the cable shield can cause damage, even to the individual cores below. icotek’s new shield terminal can be mounted on DIN rails, 10 x 3 bus bars, C-rails and with one screw on mounting plates in a user-friendly way. The clamping ranges are between 3-8mm and 4-13.5mm. icotek offers numerous other space-saving EMC solutions, such as the MSKL series with large clamping ranges of 3-12mm and 8-18mm, which can be mounted directly on a DIN rail, bus bar and C-rail.